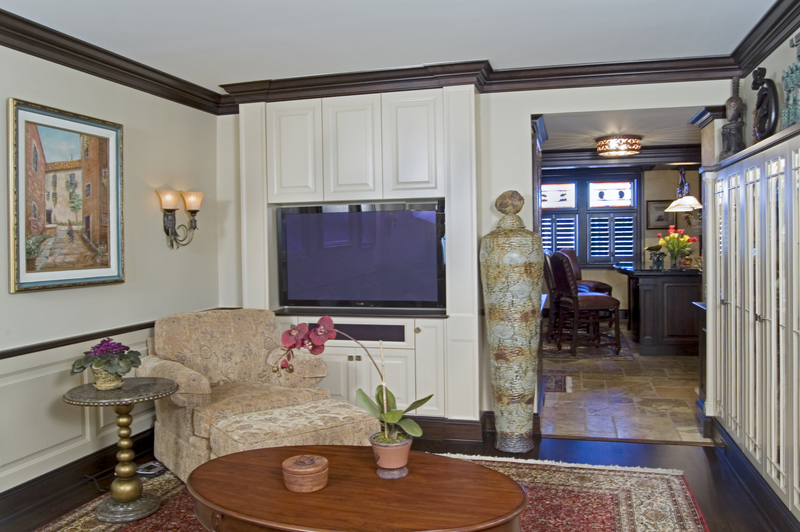 Finely crafted molding treatments allow other elements of a room to take center stage. Accurate cuts, careful assembly, and a fine finishing job pay rich dividends for a high-quality effect. 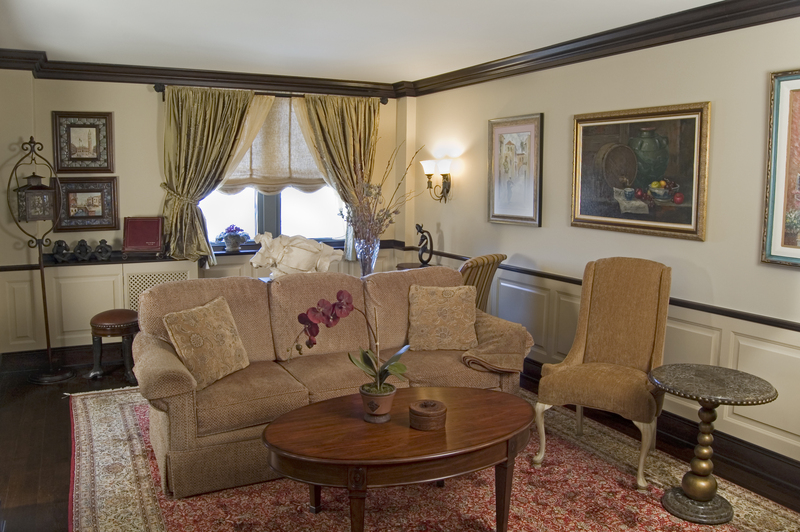 In this room, wainscot panels and contrasting molding offers support for hanging artwork. Integrating the television into the cabinetry allows for pleasant, comfortable viewing while ensuring that the room also serves other purposes. Audio and video components are hidden in a closet behind the cabinetry. During the renovation, wires were snaked behind the wall to finish off this clean, classic look. 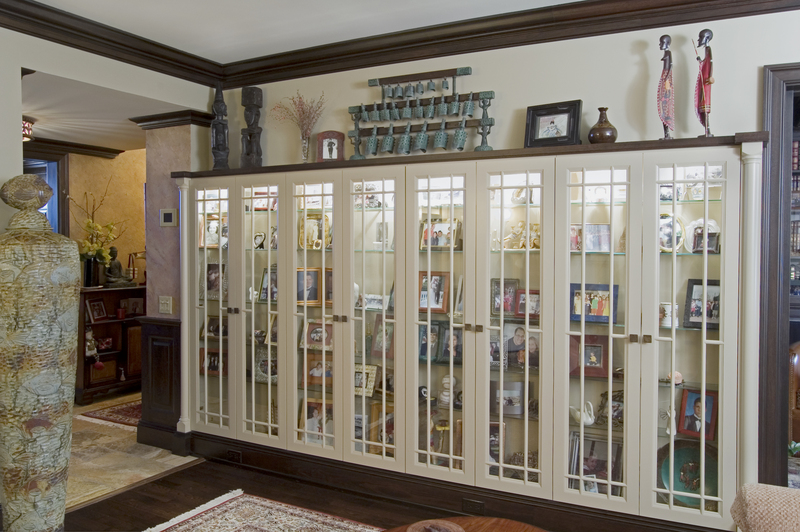 Stylish glass front built-ins corral photo albums and other accoutrement.